Courtesy of Re/Max United, Mike Ruth. Back on the Market! 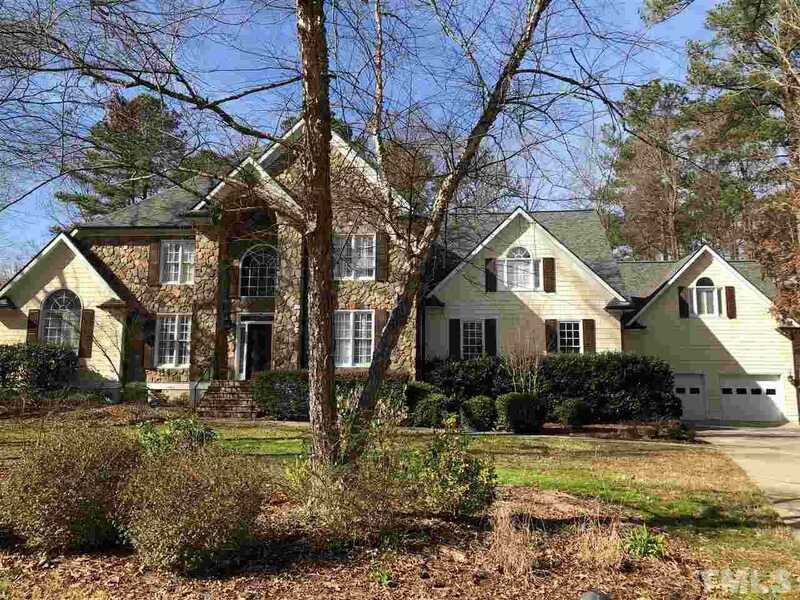 Tremendous value in Cary’s prestigious Preston Estates with over 6,000 finished sq.ft. FOUR fullsize garage bays. Huge family room, first floor owners’ retreat has lavish bath with heated floors, spa shower, updated kitchen with granite tops and high-end appliances. Main level APARTMENT or in-law suite with fireplace, full kitchen and bath, bedroom. Beautiful cul-de-sac setting. Many updates; 50 year roof installed 2014. Short stroll to Prestonwood Country Club. HOA 1 Mgmt: Preston Community Assoc. Directions: From High House Road, turn onto Prestonwood Parkway at Prestonwood Country Club. Left on Bridle Creek Drive. Right on Champion’s Point Way. First left is Kazmann Court.